原典中国近代思想史. 第2冊 (洋務運動と変法運動) 西順蔵 編. 岩波書店, 1977.4. Chang Hao, Chinese Intellectuals in Crisis. Search for Order and Meaning (1890–1911), Berkeley 1987. 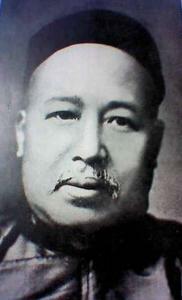 K'ang Yu-wei. A Biography and a Symposium, Hg. Lo Jung-pang, Tucson 1967 (The Association for Asian Studies: Monographs and Papers, Bd. 23).